One of the many countries I love to visit is Italy, especially when I am delivering training courses, the people are so warm and friendly, and so eager to learn. We have just finished module one of two of an NLP (PNL) Practitioner Course with the Society of NLP with over 30 participants, one coming from Germany. Coach4Life the organisers have done a good job in organising such an event. Although I have been giving NLP courses or trainings in Italy since the mid 1990’s, I do not think my name has ever appeared on any certification or licenses, that honour and credit was always taken by the organisers, so now my name will be in lights for once. We had some great fun on this first module, setting a firm foundation to start with, so that we can build a strong knowledge of what Richard Bandler and John Grinder created so many years ago, meaning that when the course is finished, the participants can truly use the title of a Society of NLP Licensed Practitioner, and use the skills in many aspects of their life. I can truly say even after the first module, I can see changes happening in people. In many courses I have seen given by others as an NLP Practitioner, I have often seen a watered down version, missing out many of the elements required by the Society and Bandler, either through lack of knowledge or understanding, or that the subject has been learnt from someone who has learnt from someone else who has learnt from someone else, and so on and so on. Some courses even miss out one of the pillars of NLP, the work and practise of Milton Erickson. So here is to module two in the next few weeks, and future courses organised by Coach4Life. An International Conference of Human Resources takes place 15th – 16th November 2011 inMonte Carlo. An Internationally Renowned team of great speakers has been assembled, including Tom Ziglar, Owen Fitzpatrick, Brian Colbert, Poll Moussoulides, Paul Boross, Matt Traverso, Marco Paret, and myself Phillip Holt. This special event is aimed at business leaders, directors, managers, sales people, marketing executives, entrepreneurs, trainers or anyone wishing to gain more expertise in the art of communication. Join others and myself there in Monte Carlo for this extra special conference by visiting the web site of the conference, www.meetingtrainers.com. In the past I have written about the Italian Second World War aircraft, the Savoia-Marchetti SM.79 Sparviero, or Sparrow Hawk. It was my privilege to talk to Gianni Golfera’s Grandfather, who had flown this aircraft during the war, and how he had shot down two British Hurricanes. It was on one of my trips to research my interests, that I visited Bletchley Park, once home in the Second War World to the Code Breakers that were able to break the secret Enigma Codes of the Germans, plus the home of the world’s first electronic computer, Colossus. 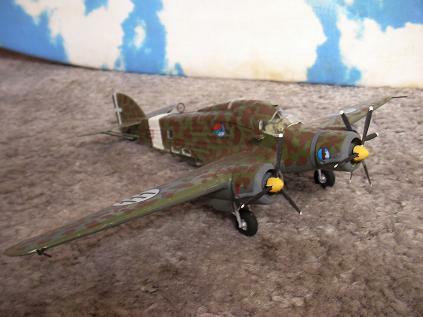 In Bletchley Park’s many displays, there are models of many aircraft that flew and fought in WWII, but one aircraft that was missing was the Savoia-Marchetti SM.79 Sparviero, and as I had found as in my articles on Part of My History is Missing, I wanted other visitors to be aware of more of the WWII history. So, to honour a great man, I donated my little plastic aircraft to the museum. I hope others will see it and wonder what has been missing from their learnings. I failed to tune in, internet access is a big problem. For the listeners who tune in to my weekly radio broadcast on a Saturday, (visit web to listen), whatever time it is in your country, I must apologise for not being on air on the 27th August 2011, this program and the subsequent recording will be rescheduled. Often when I travel, internet access is a big problem. In todays modern communication, (today being August 2011, how time flies when I read my first entry in this blog), new ways of connecting to others are emerging all the time. Some of the best, Skype, MSN, Blackberry, SMS, all require access at some point to the internet in some form to make instant connections. These connections via the internet could be by the mobile phone providers eventually routing a call or message from a receiving station say in the USA, into the internet system, then in the destination country from the internet into their transmission station to the persons receiving the call or message. On an iPad or tablet computer a similar system could be employed or through WiFi, when the device or computer has the ability to pick-up and transmit radio signals, enabling connections to the internet, or there is the hardwired ethernet cable, where there is a physical wired connection to the internet. All the above require a node, an access point from the computer or telephone, and without it you are lost. How often am I without communication as my mobile phone cannot locate a cell? How often is it that I cannot send or receive emails as I cannot find an internet connection? Many times. Often it is as if I am in the middle of no-where, no civilisation. But then there are times when there is access, but because companies, individuals place restrictions on accessing via their node, perhaps by the radio frequencies or passwords I am again internet-less. I agree in principal as the infrastructure, the equipment needs to be provided and paid for. But, as in many cases, service providers overcharge for this access. Take making and receiver telephone calls when out of one’s own providers country, they are making a fortune out of travellers, data access via smartphones and tablet and mobile computing is excessively expensive. Then there are the hotels that already have the access points, so the infrastructure has been paid for and they pay a set fee to the internet service providers for access, yet charge their guests extortionate prices for access, maybe 25 euro per day. Yesterday I was returning from Spain to the UK, and my slot for the radio broadcast coincided with me being at the airport in Malaga preparing for boarding, but I would have time to do the interview. Although I have a UK internet dongle for my computer, I could not afford nearly one hour international data connection charge to the USA. I tried to purchase a Spanish providers internet dongle at a cost of 49 euro, excessive cost, but non were available, so many travellers had my idea. Surely there would be access via WiFi at the airport? With half an before my slot, after booking-in and going through security, I sought internet access, and the only one available was Telefonica, the biggest Spanish broadband and telecommunication provider. I was able to access their login page or registration web page and found it very confusing as it was in Spanish, another language I do not speak, then I eventually found a tab for the English language, but pressing the tab I received the message in Spanish, page not available. Not to be outdone, I asked a Spanish lady for help, who could not quite understand what I wanted, one hours worth of access to the internet. “this is not possible” was her replies to my requests, and her friends agreed with her. I knew I was right, one hours worth of internet access is available. I persuaded her to keep helping me gain access, and I led her through the web pages, until we found a registration page, for name and other details. A great debate took place as to where I placed my first name and my family name, plus other information. Five minutes to go, still time. I came to the entry of passport number, now I had to find my passport. People around me wondering what this madman was so anxious about. Done, three minutes to go. Assess refused, I needed a Spanish passport. One minute to go, and there was no way I could gain access to the internet and my radio program. Modern communication works, “IF ONLY”. Sorry for not making the slot.